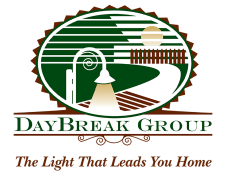 I cannot recommend the DayBreak Group highly enough. Professional, knowledgeable, thorough, honest, and as a bonus, two of the nicest people you are ever likely to meet. When my wife and I decided it was time to sell our home in Rancho Cucamonga, I was inclined to take a haphazard approach to choosing a realtor, namely calling the last guy who shoved a promotional notepad in my mailbox. My wife, on the other hand, is highly driven to do research and find the best. Not adequate, not okay-the best. Her efforts yielded one name: The DayBreak Group. Brett and Giovanna arrived at our home at the appointed time. After showing them around our property, we sat down and we proceeded to get down to business. They came armed with a market analysis that showed comps and historical trends for our neighborhood. They also prepared a marketing plan which thoroughly outlined all of the strategies they would employ in finding a buyer for our home. Working with the market analysis they had prepared, we were able to set a realistic price for our home. They sent over a staging expert who showed us how to maximize the attractiveness of our home to potential buyers. A photographer came to the house and took a breathtaking set of photos that would ultimately go into a glossy, beautiful brochure. Bottom line, the DayBreak group was able to generate a lot of interest in our home. The open house was hugely successful, and in the aftermath it seemed like there was a constant parade of home shoppers and their realtors coming to view the property.